The position statements of the the Ohio Society of Radiologic Technologists represent the tenets or beliefs of the OSRT. As an official affiliate of the American Society of Radiologic Technologists, OSRT supports the position statements of ASRT. Regarding interpretation, radiologic technologists must take into account state statutes and institutional policy. The term radiologic technologist used throughout OSRT's official documents describes personnel working in any discipline or specialty area of radiologic technology. Radiologic technology is the term that describes the medical disciplines and specialties that use radiation for diagnostic medical imaging, interventional procedures and radiation therapy, to include energies used for magnetic resonance and sonographic imaging. The Ohio Society of Radiologic Technologists supports Ohio Revised Code 4773.01 to 4773.99 (Radiologic Licensure Law). 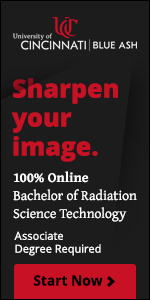 The Ohio Society of Radiologic Technologists supports educational programs within the State of Ohio in offering a plan of study for the L.X.M.O. as defined by the A.S.R.T. and credentialed by the A.R.R.T. It is desired that the L.X.M.O. will establish a new standard of care in limited radiography, and displace the existing GXMO within the State of Ohio. The O.S.R.T. supports curriculum revisions that would allow an L.X.M.O. licensee to become a fully credentialed R.T. utilizing a career laddering format.